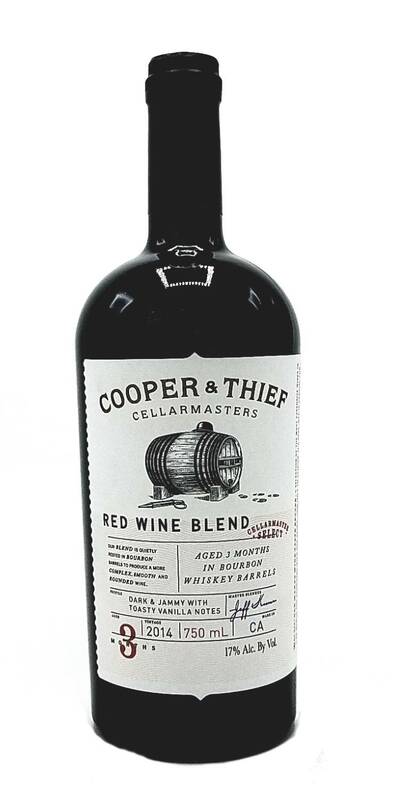 Cooper and Thief is a dark and jammy red wine blend loaded with bourbon-inspired flavors and aromas. 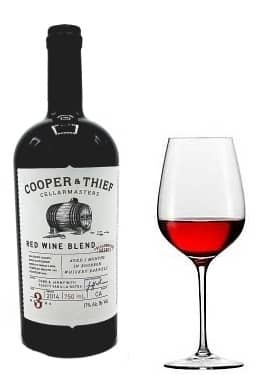 Mostly a blend of Merlot, Syrah and Zinfandel, Cooper and Thief is aged for 3 months in bourbon barrels, which gives way to soft and velvety tannins with a subtle heat. Rich, full-flavored red with a long, warm finish. Mostly a blend of Merlot, Syrah and Zinfandel.